Its official and this is the latest news that you will find it both here and here. Nokia has launched a cash offer to acquire all of the shares of Symbian Limited that Nokia does not already own, at a price of EUR 3.647 per share. The net cash outlay from Nokia to purchase the approximately 52% of Symbian Limited shares it does not already own will be approximately EUR 264 million. 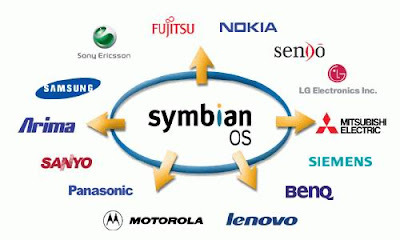 Nokia has always been the biggest supporter of the Symbian platform, and all of their smartphones use some flavor of the Symbian OS, but it’s not alone: other companies, such as Sony Ericsson, LG, Samsung, are also using Symbian for some of their devices. Therefore, Nokia decided to turn the intellectual property of Symbian over to the Symbian Foundation, which pretty much means that Symbian is now an alliance similar to Google’s Open Handset Alliance. Nokia will contribute Symbian and its S60 software assets to the foundation, while other members will put in their UIQ and MOAP software to create a new joint Symbian platform in 2009. I think this is a brilliant move. With free licensing this really levels the playing field Google's Android, and takes a knockout at Microsoft's Windows Mobile and a masterful strategy against Apple. Royalty free licensing and in two years open source is wonderful. Imagine the speed of extending options and adjustments for the user-interface. This is going to be a good news for developers. This is strategic move by Nokia to move the Symbian OS forward along with Nokia handsets. It’s obviously a move to ensure that moving forward Nokia also has it’s own OS and can manipulate the market whilst having full control (much like Google’s Android OS), but with Symbian already accounting for 60% of the mobile handset market, thing’s seem to be much brighter for Nokia. Its a welcome move for Nokia eliminating competition. I wonder how this going to effect the mobile application developers in monetizing their ideas. My idea of www.onkia.mobi Video clips on mobile is out and vulnerable.Hardware sales is one thing and Software is another. What if hardware buys the software? Needs introspection.